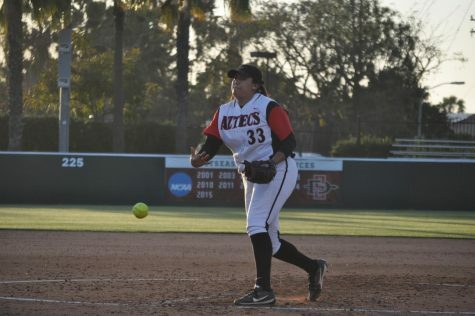 San Diego State softball opened up its Mountain West season on March 24 at UNLV, continued at home against Univerity of Nevada and then wrapped up spring break at No. 25 Fresno State. 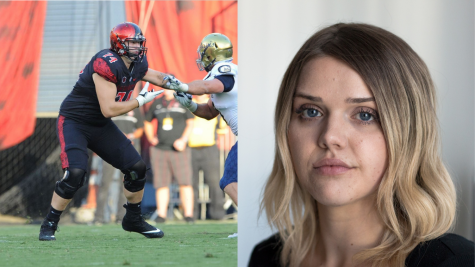 SDSU has gotten of to lackluster 3-6 start in MW play, though the team went 18-10 in nonconference games. 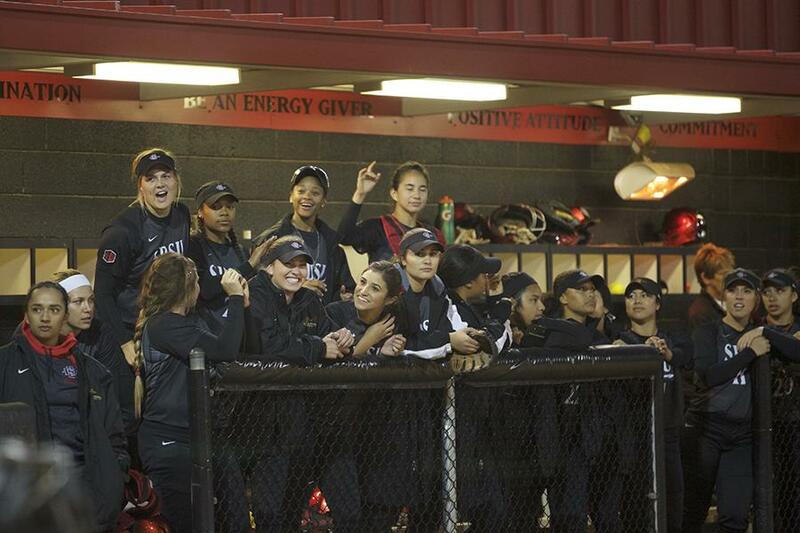 In their first MW game of the season, the Aztecs took a 6-2 win over UNLV and improved their overall record to 19-10. 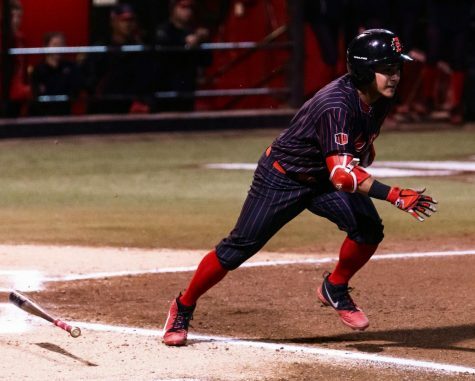 Despite an early struggle against UNLV junior pitcher Kwyn Cooper, SDSU evened things up in the fifth inning when redshirt-freshman Katie Byrd singled to right-center field to drive in the first run. Junior Jaylene Ignacio then drilled her fourth homer of the year, making the score 2-1. SDSU took advantage of six Rebel errors and timely hitting to earn the win. The Aztecs suffered a 4-2 loss in the second game of the series. The team was just 4-for-15 with runners in scoring position. Even though SDSU outhit UNLV, 11-7, it didn’t make up for the season-high 14 runners left on base. The win pushed the Rebels to 17-14 and 1-1 in conference. SDSU lost to UNLV, 7-2, in the series finale, dropping the Aztecs to 1-2 in MW play. The team outhit UNLV again, but made three errors and left eight runners on base throughout the game. It marked the first time the Aztecs lost a conference-opening series since 2007. 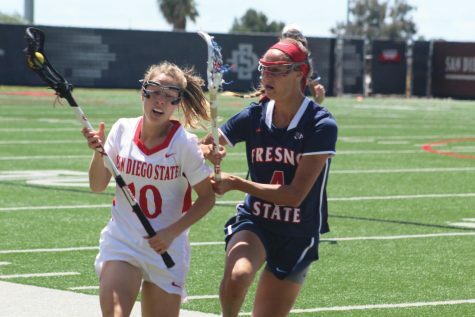 SDSU lost its first home conference game of the season to Nevada, 10-4, but earned a much-needed win in the second matchup. The Aztecs scored three runs in the bottom of the first inning, one in the fourth and three in the fifth before the Wolf Pack finally got on the board in the sixth. With a 7-1 lead in the bottom of the sixth, senior Leia Ruiz reached on her third hit of the game and freshman Molly Sturdivant drove her home with a two-run homer to clinch the run-ruled, 9-1 win. It was the second time this season that Nevada was run-ruled. 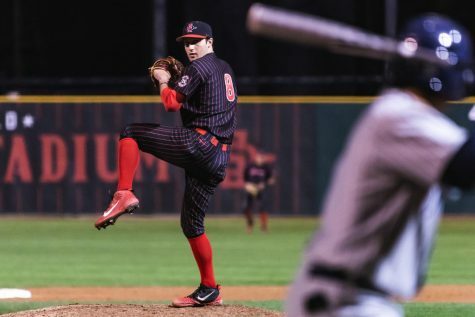 In their third game against Nevada, the Aztecs leaned on excellent pitching from sophomore right-hander Alex Formby, who struck out a career-high eight batters to complete the 1-0 shutout win. Redshirt-junior Sam Vlot drove in the only run of the game with an RBI single in the second inning. SDSU struggled in its road series against No. 25 Fresno State, losing all three games. 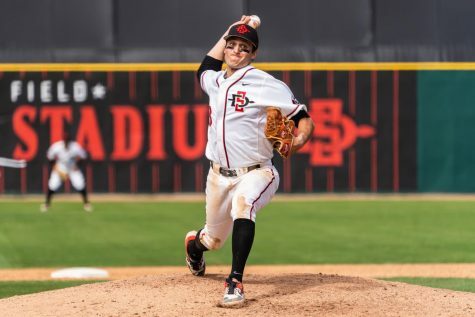 In the opening game Friday night, the Aztecs issued a season-high eight walks and a season-high three wild pitches and were unable to deliver offensively with runners in scoring position, losing 9-2. The second game against the Bulldogs was a closer battle, thanks to a three-run homer from Sturdivant in the top of the third. 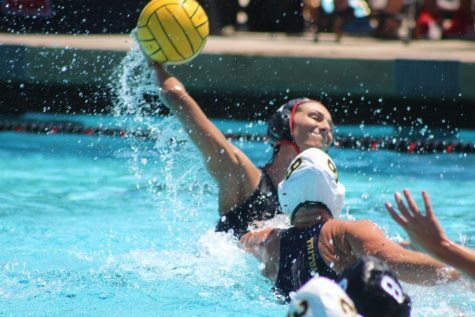 However, the Aztecs were outhit, 12-7, in the game and suffered a 6-3 loss. In the third game SDSU rallied back from a 7-2 deficit, but was not able to take back the lead and lost the game, 8-5. 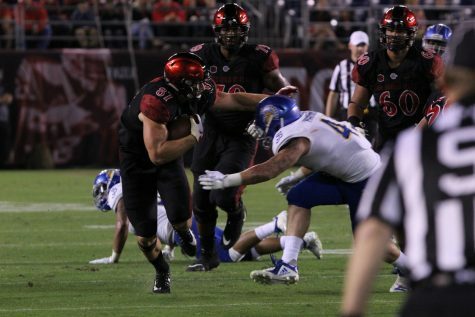 The loss dropped the Aztecs’ MW record to 3-6 and improved the undefeated Bulldogs to 6-0. The Aztecs will continue conference play when they host Colorado State at home this weekend. The Rams are 16-16 overall and 2-4 in conference play. Game one of the three-game series series begins 6 p.m. Friday at the SDSU Softball Stadium.